The M-N1 comes with a DOUBLE LAYER silencer that is able to reduce the loudness 30%. 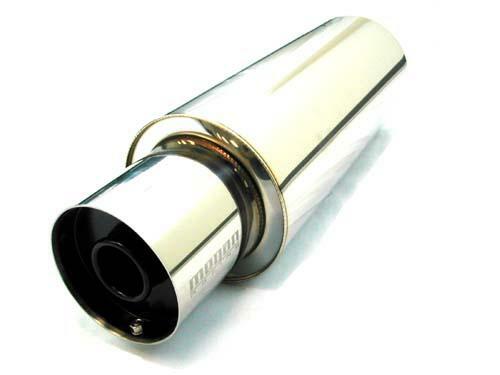 This muffler gains better response on higher RPM. Available with 2.5” (Standard) or 3” (Turbo) inlets. 4” tip, 2.5” or 3.0” inlet, total length 19.5” and body width 5.5”. Removable double layer silencer in BLACK.